8:08pm: Ortiz has officially accepted arbitration, tweets Gordon Edes of ESPN Boston. Neither side has ruled out a multiyear deal at some point this offseason, tweets MLB.com's Ian Browne. The Sox reportedly increased their two-year offer to Ortiz today. 3:30pm: The Red Sox have not heard any official word from Ortiz, reports WEEI's Rob Bradford. 2:20pm: Free agent DH David Ortiz will accept Boston's arbitration offer, tweets MLB Network's Jon Heyman. Ortiz's plan was first reported yesterday by ESPN's Enrique Rojas. That means Ortiz is under the team's control for 2012 at a salary to potentially be determined by the arbitration process. He'll get a raise on this year's $12.5MM salary. Ortiz, 36, was MLBTR's 13th-ranked free agent, but his market was cold given his inability to play the field and the attached draft pick cost. Red Sox Increase Two-Year Offer To Ortiz? He realized he was going to make more through a single year of arbitration than he would have on a 2 year deal as a free agent. Can’t blame him. The Sox will gladly take it year by year with him through the arbitration process, even if it means paying more IMO. Nobody is going to want Papi on multiple years as long as draft picks are attached to him. Finally! I’m getting destroyed in this free agent contest. Back above the Mendoza Line! I have no idea how some people guessed so many right! Most of the signings are so random!! Let’s hope they convert this potentially terrible 1-year $14MM deal to a more manageable $20MM 2-year deal. and why would Ortiz want to do that? Because most people project his arbitration salary as around $14MM and as a guy who can’t really play the field, more than $6 million next year is no guarantee. He gets the security of a multi-year deal, the Sox get a big more room before the luxury tax. He’s going to take a substantial paycut in 2013 no matter what, how much of a paycut can be mitigated by signing a deal now. After 2012, without the draft pick cost, I see Ortiz easily getting 1 year, 6 million. Maybe that’s just me. It’s one year…. no way is that a terrible deal. Almost any one year deal is at least ok. I think that is exactly what Ortiz is thinking. He wants a 2 year deal. By accepting arbitration, he guarantees that he will be back, and it gives him some leverage to make it a 2 year deal if he gives the sox a little break in terms of money. He wont get the money he originally wanted, but he might get the 2 years. Don’t you think that he has been testing the market for the past month? He discovered that his market is next to nothing due to his Type A Status. No team wants to give up their 1st round pick for a DH. So instead of risking being unemployed next season, he decided to take the guaranteed payday and accept arbitration. Particularly not for a DH on the wrong side of the 30s! I think Ortiz was only testing free agency to run up the price. He wanted to stay with Boston. True, I don’t know just seems like this too so much longer than it should have. He’s had weeks to dip into free agency and came up with nothing. 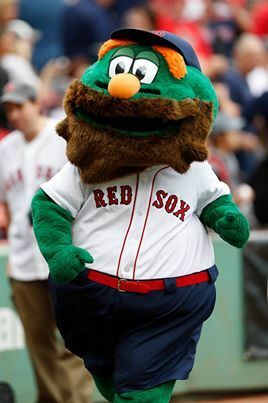 If he had any hope of even coming close to matching what the Sox were offering, he’d have declined arbitration. When you go out there saying “I want a three year deal” and the best you’re offered is two years at a 25% paycut, waiting a few months for the market to develop is only going to make matters worse. If he declined, he’d probably have ended up back in Boston on a 2 year, $14 million total deal. You could make a strong argument that taking less years helps the team more. I really hope everyone cheering his return is just as giddy when the team cannot get a starter, like possibly Oswalt who several of us thought was a much better direction for 13-14m ortiz will be taking up. Cherrington might as well closeup shop now as far as replacement level utility/middle relievers go.. ortiz coming back just wiped them out, not to mention Youk we all had better hope can play 120 games this year without the luxury of the DH slot to rotate to. Why should he play for less than he’s worth when it’s more than obvious that Boston can afford it? 2/20 wouldn’t be playing less than he’s worth…that’s about what he’s worth! On the other hand, he should not “take less to help the team” either. The Red Sox declared his worth of 14mm+ in 2012 by deciding to offer him arbitration. It’s not as though they didn’t know the rules of the game. Yes, but maybe they think he’ll only be worth $6M in 2013. I think this is the best move for the Sox. Retains the offense without making a major commitment. If Middlebrooks turns out to be ready next year then they can say goodbye to Ortiz and move Youk to DH. Or trade Youk or just let both walk in 2013 and use Lavarnway as the primary DH, freeing up a good $25MM+ in the process. I find it highly unlikely no one else “wanted” him, the guy’s coming off a .953 OPS at a position where the league average was closer to .750. What teams didn’t want was to give up a first round pick for him at the years he wanted. For any 2 year deal, you’d have to talk Ortiz out of $14M this year. Or offer him the $14M, then a much lower salary in 2013. Does anyone think Ortiz would actually sell his 2013 season for less than $8M, or take a paycut in 2012 to get $10M for 2013? .953 OPS last year, .900 the year before. WAR of 3.8 and 2.8, respectively. Pretty good in my opinion. They’ll be over-paying slightly but unless they want to give $200m to Prince Fielder, this is probably their best option. Actually using Youkilis and to rest other players was their best option. Yeah… re-signing their only FA who was a major piece of the MLB’s best offense last year… What could the Sox be thinking in getting back a slugger on a short term deal. They retained a quality hitter at a position they could afford to fill. Sure they still have to work on the pitching staff but too many people are trying to make mountains out of molehills with this. This is the right move for the Sox and the fact they can now get him on a garuenteed one-year deal is perfect. Not laughing at the deal, laughing at them in general. How can you not? As a fan, I simply have faith that the team will be better than what people are saying now. As a fan who was around before 2004 I find myself more exasperated by bandwagon Red Sox fans than anything else.